This module grants the missing permissions for the Administrator role in hook_cron. in a more attractive and modern way in front of the users. It just modifies the views of the images in form of a 3d whirlpool which the user can hover upon to have a nice view of the images. There is no restriction on the number and types of images used. Note: Images should have minimum dimensions of 180 pixelsx150 pixels. Following individual pieces of content with the Message stack. This module implements the jQuery TextExt library to add tagging capabilities to the Block Class field. In addition, other modules can implement their own hook_block_class_tags_classes() and return an array of their own predefined classes they would like to use. The module's aim is to provide initial starting point for Google AMP integration. It provides the AMP router and all needed templates/theme_hook_suggestions. The templates available in the module are for exemplification. You should build your templates and manipulate the data according to your needs. We are still in development process, so please feel free to suggest what/how this module should do. Sometimes there might be common patterns how deleted entities could be redirected automatically. This module allows you to create redirects when entity is being deleted. You can either use static path or tokens. Redirects are configurable per entity bundle and language. This module depends on Redirect module. This simple module adds a Drupal Commerce popup cart block. It will display a cart icon with a dynamic number representing the number of items in the cart. When hovered over the cart will popup with its contents listings and action links. This is module will override the default mail_validator service with a hardened implementation that actually tries to connect to the client e-mail server to verify that the address does exist. To run this module you will need to have access to an open port 25 and fsockopen(). The module will automatically check the availability of these every 24 hours and disable itself by defaulting to the original mail validation service implementation. Using Google Material Design Color Concepts allow theme developers to choose a custom color palette based on two colors to be apply on Bootstrap theme. Colors can be typed, got from a color picker or chosen from Material Design or Colour Lovers color schemes. This module allows you to generate new images by cropping existing ones. Because the cropped images are first-class file entities, they will appear (and can be reused) anywhere else a regular image file would be. The module integrates with the Manual Crop module for its user interface. This module is an API module, it does nothing out of the box if you don't write any code. This modules enables developers to issue Google Analytics Events server side, even during Ajax requests. 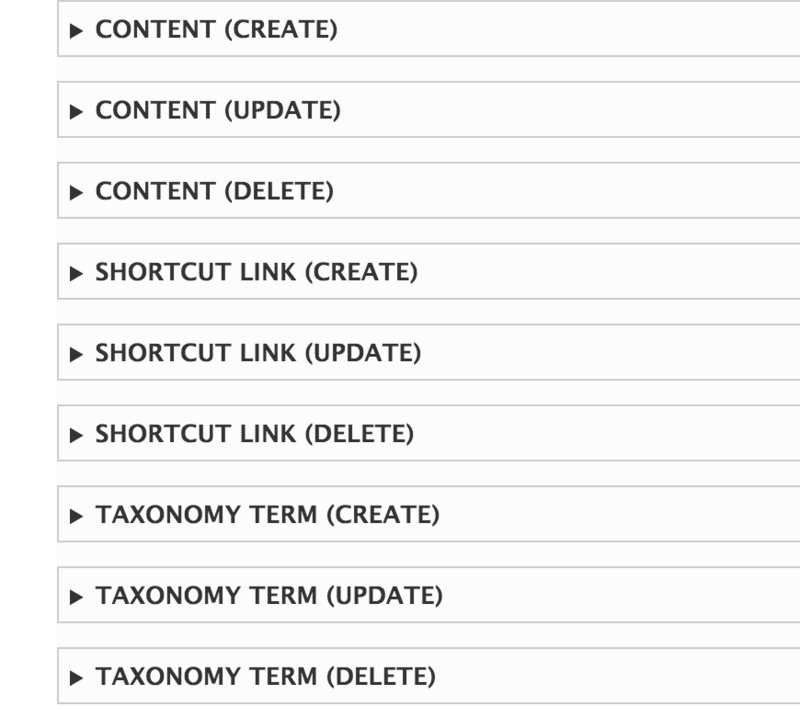 Taxonomy menu is a great module, allowing you to quickly match a taxonomy vocabulary to a menu, maintaining its structure and order. Normally it works just great out of the box, but sometimes a little tweak to the created menu is necessary, and you would expect that not to be lost if the menu is rebuilt for whatever reason. Thinks like a specific menu hidden or a special tweak to the title. Therefore this module provides a custom field type, which allows you to store the URL to the image, as well as a formatter to render out the field using an image tag. Drupal 8 finally supports multiple comment types, so you can for example distinct between normal comments and reviews, with some additional fivestar field. There are though some UX problems in core, as a couple of strings are not configurable, so that 'Comment' still appears all over the place. and also render out the json field inside rest views as subpart of the main json.